I am as guilty as the next person for a touch of hyperbole. And it is common for terms such as ‘groundbreaking’, ‘innovative’ or ‘visionary’ to be thrown around in the superyacht industry. However, please allow me this one-time exception to use all of those words to describe three vessels: R/V Alucia, S/Y Black Pearl, Research Expedition Vehicle (REV). 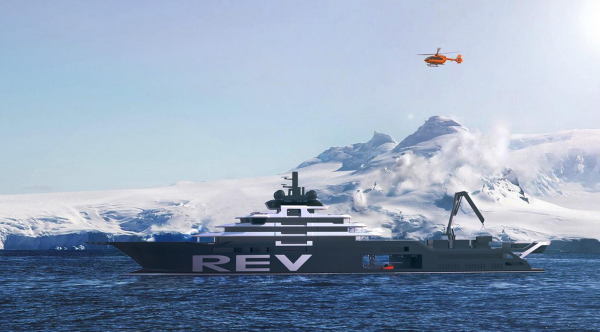 Announced earlier on this year, REV is the mammoth project funded by Norwegian billionaire Kjell Inge Røkke. Aside from its highly published unveiling back in June, there has been little update from the team behind the project, expected to be delivered in 2020 – until now. Offering an exclusive insight into this project, designer Espen Oeino, together with Jonny Horsfield, H2 Yacht Design, Severin Åkervik, VARD Shipyard and Project Director George Gill will take to the stage at The Superyacht Forum next week. The discussion will explore the evolution, development, inspiration and purpose of REV. The project is unique in its marriage between the superyacht market and World Wide Fund for Nature, Norway (WWF). Indeed, CEO of WWF Norway, Nina Jensen recently announced her departure from the foundation in order to join X Four-10, the parent company of the REV project. 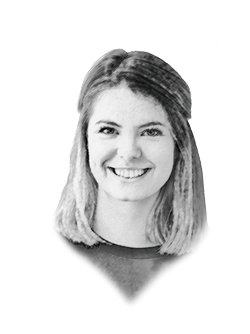 This level of cooperation between an individual owner and such a high-profile environmental organisation is rarely seen in this market, with the exception of Ray Dalio’s Alucia. As a result of this, team members from the 56m Alucia will join the REV team on stage, to offer expertise on the practicalities of a research ship. Given that Alucia has been involved in a number of high-profile documentaries and oceanographic research expeditions (including David Attenborough's Blue Planet II), Alex Flemming, part of the yacht’s management team, is a first-hand witness to the power and influence vessels such as these can have. S/Y Black Pearl, born out of the shadow of the Maltese Falcon, is the project that has pushed forward the boundaries of technology found aboard yachts. In an interview with SuperyachtNews earlier on this year, designer Ken Freivokh, of his eponymous studio, discussed how the client approached him with a concise, forward-thinking brief. “He asked me to join him for a meeting to talk about a new project, and it quickly became clear he wanted to take the Maltese Falcon concept further. He wanted something between 90m and 100m and he had in mind trying to take the concept as green as possible, in terms of technology, and asked if I could sketch out some ideas,” said Freivokh. At The Superyacht Forum, the Black Pearl panel will discuss the owner’s initial ideas, his decision-process and motivations behind this pioneering project. Derek Munroe, the owner’s representative will be joined by Black Pearl’s captain, Chris Gartner and chief engineer, Richard Tatlowe. The session will not only look at the development and build process, but also what the team have learned from their experiences, especially since the yacht’s launch in September this year. Shedding light on this enigmatic project, this panel will forecast the technological trends that will be seen on yachts for years to come. For more information on The Superyacht Forum and to register for the event (held from 13 - 16 November in Amsterdam), click here.